THERE was a night of nostalgia and partying at The Rose Hotel last month and the result is that thousands of euro will go to a great cause. The Back To The 80s event was a sellout success on January 25 attended by 300 people. People partied into the night and many made a fantastic effort dressing up as 80s icons and sporting the fashion of the day (click here for photos). 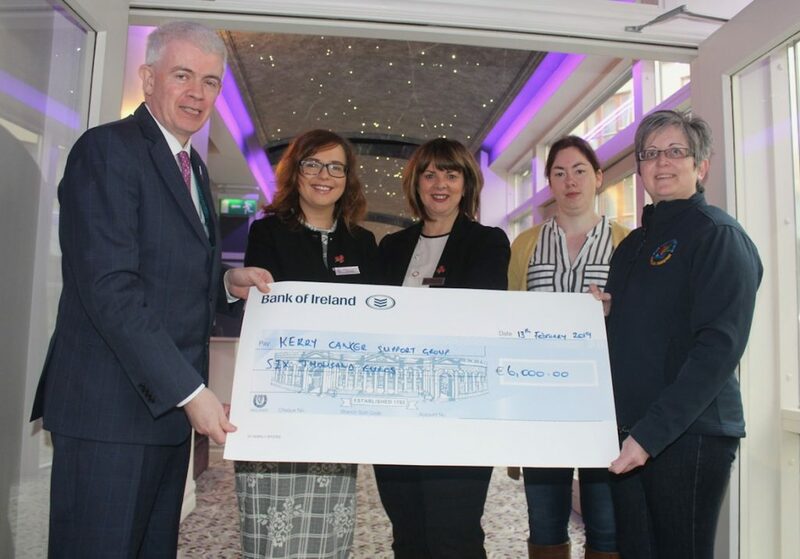 The upshot of it all was €6,000 was raised for Kerry Cancer Support Group (KCSG) and representatives from the organisation were at the hotel on Wednesday to receive the cheque. “I want to thank The Rose Hotel and their staff for all the effort they put in to organising the event,” said Breda Dyland of KCSG. “They made a special effort to have former staff from Horans and Spirals for the night and that made it so authentic. It was a very positive and fun night. 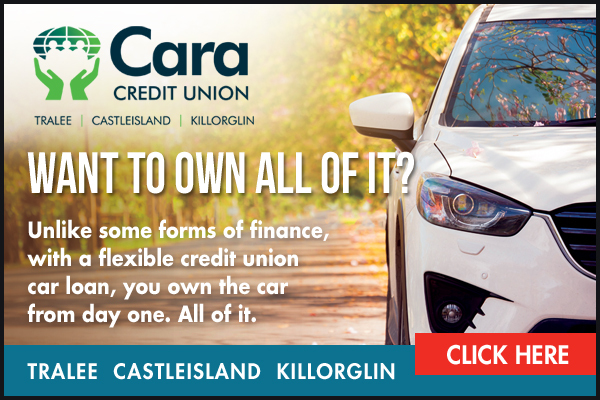 “Raising the funds is absolutely essential for our service because events like this keep us on the road and it also raises awareness that we are based in Tralee,” added Breda. Michele King, Director of Sales and Marketing at The Rose Hotel, said they were delighted to help.